The design blogosphere is constantly atwitter about new design books. Lately, I've seen many posts about Alessandra Branca's upcoming release, New Classic Interiors, due out in November (side note: purchasing the book through her firm gets you a signed copy and she is donating proceeds to inner-city kids' programs, including ones in DC). 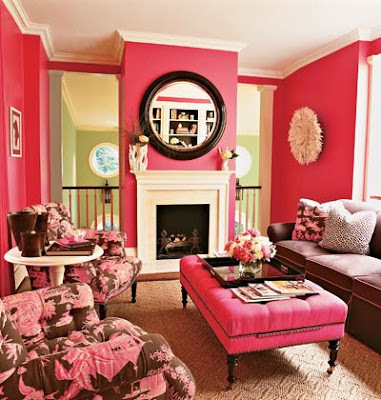 The interiors I've seen by Chicago-based Ms. Branca are stunning - she uses bold color in a timeless way. 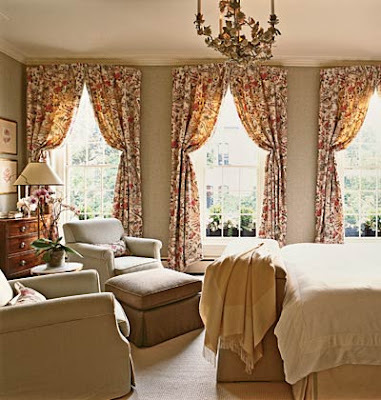 And she knows how to rock some Chinoiserie - rich, sophisticated, traditional Chinoiserie. 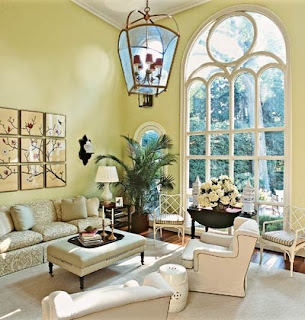 So, today we shall take a tour of a dazzling little number located in Georgetown, designed by Ms. Branca, and featured in Southern Accents, which is where I first spotted it some time ago. Doesn't that little coral bench just welcome you in? 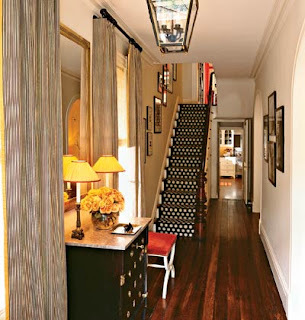 I love that color combined with the yellow lamps and the graphic pattern on the staircase. 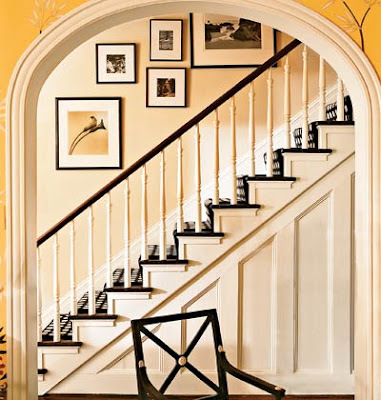 Another view of the inviting staircase with frames hung askew (yet look so put together). The entrance to the house eases you into this amazing color scheme. 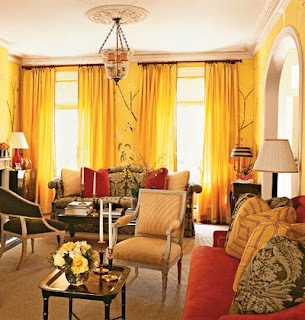 The yellow is so captivating - don't you just want to sit in this room? Just sit. And look. And sit some more. And maybe have a cocktail. I have mentioned my affection for wallpaper. 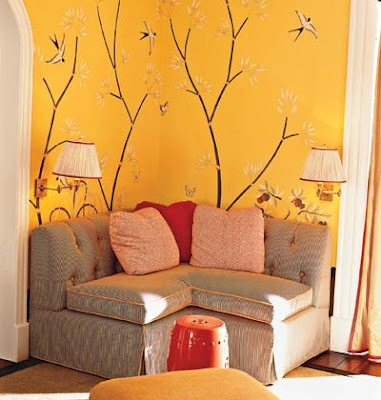 This prime example of a gorgeous Chinoiserie wall treatment was actually designed by Ms. Branca and made for the room. This little nook is magic. Pops of pink in a neutral bedroom. Sweet and Cozy. And, of course, I saved the best for last. This room was definitely in the running for a Friday Crush, but I'll throw it in today's post. This is what my heaven looks like...hot pink Chinoiserie. There are no words. More of an unattractive choking/gasping sound that comes with sheer delight. 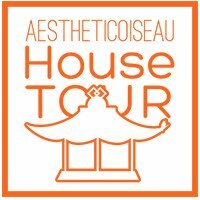 I hope you've enjoyed this little tour of some DC digs...and if you'd like to see more of Ms. Branca, her book is a good place to go - the design blogs are raving about it. It will most likely make an appearance on my Christmas list. These homes look great! I just came across your blog whilst i was looking for a hot pink throw for my sofa, and the last image on your blog popped up. Alas, i still havent found a great place to get some funky throws, BUT i had a good read of your blog!